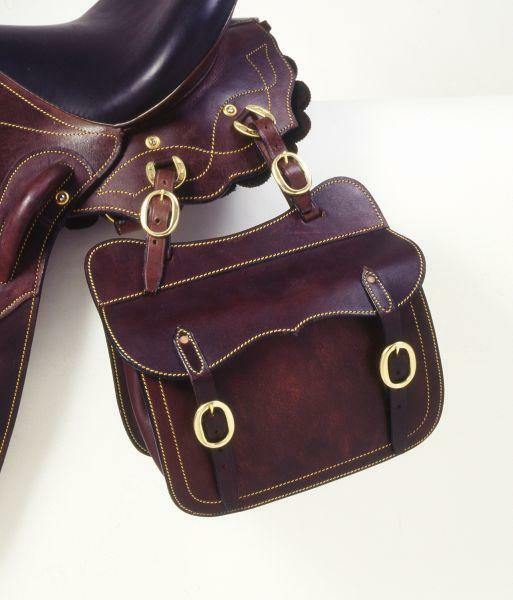 Australian style saddle pocket in quality leather with brass fittings. Will fit left or right side. 11Ó W x 9Ó H x 4Ó D.